On Saturday, May 5, 2018, the Epsilon Tau Zeta Chapter hosted the recipients of this years Academic Scholarship at a luncheon. The girls and their families were treated to lunch in celebration of them and they accomplishments throughout high school. 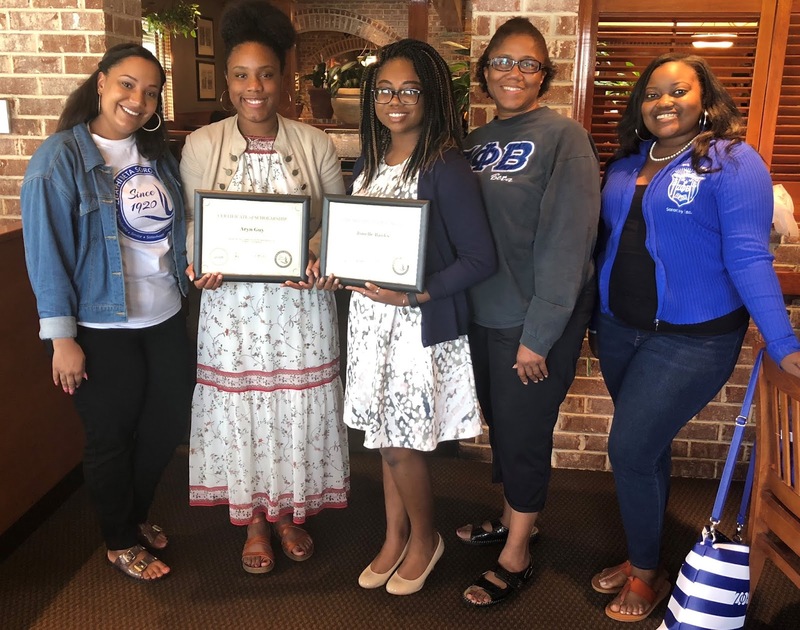 This year's recipients are Aryn Guy who is attending Valdosta State University, Kia Banks, attending Mercer University, and Ni'Quita Swayne, attending Kennesaw State University. We are very proud of these young ladies and cannot wait to see what they will go on to accomplish. ETZ has given over $2,500 to help collegiate students in the Macon-Bibb County area.